This post has been a long time coming. 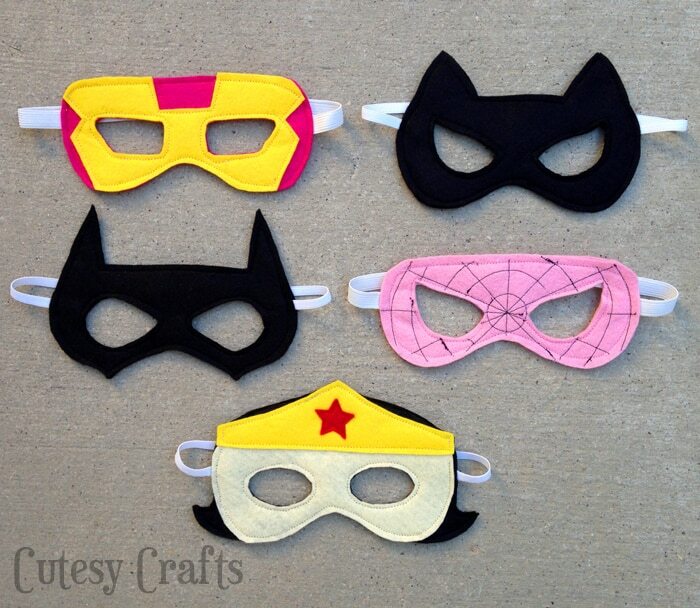 I’ve had several people ask if I had any girl felt superhero mask templates. I had every intention to make some new patterns, but I never had a real reason to. Then, two weeks ago, my sister texted asking what she thought she should give out for party favors at my niece’s birthday party. The theme? Superheroes! Perfect!!! Never mind that the party was the very next day. I was determined to design some new girl superhero masks, and get them made by party time. So obviously the Spider-Girl and Iron-Girl… Woman… or whatever are just using my same patterns from before. I designed new superhero mask templates for Catwoman, Batgirl, and Wonder Woman. Here are your free superhero mask templates. 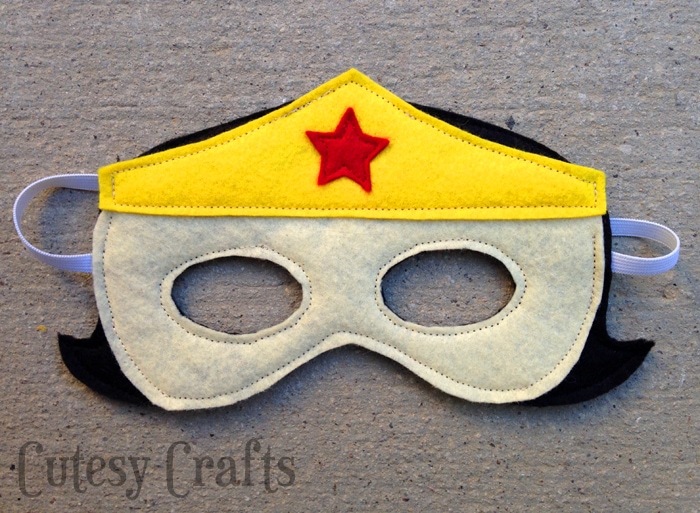 For some assembly instructions, go to my original felt superhero masks post. The cute Wonder Woman mask with the hair is my favorite. The pattern for that one is a little more complex than the others. Just make sure to cut out the entire, overall pattern in black first. Then cut all of the different parts of the pattern and add them on layer by layer. Hopefully that makes sense. If not, feel free to ask about it in the comments. So, there you go. Just in time for Halloween! Anyone else have a little girl superhero fan? My Audrey is planning on going as Batgirl this year. She’s going to be SO cute! 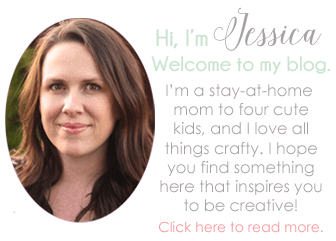 Make sure to check out her DIY Batgirl costume. Thank you. These are wonderful. Will be sewing these for foster kids to wear and give them a superhero doll at the same time. Thanks Jody! Glad you like them! We love these! We’re using them for the party favors for my sons Avengers birthday party. And I was wondering if you had the girl masks in adult sizes as well? I don’t, sorry. We just used them for the birthday party for the kids, so I never made them larger. Oh how cute! Such a fun idea for the little ones! I’m so glad the patterns were useful for you. Hi. Maybe I need more coffee, but I’m not able to find the actual templates for the girls’ masks. Help…and Thanks. Haha! There is a link in the second paragraph, above the photo of the Wonder Woman mask. The first word “here.” Let me know if you still can’t find it, and I can send you the link.